Our historic Registry Office houses artifacts tracing the development of Newmarket from the time of the first Quaker settlers (c. 1800). Special events and educational programmes are held throughout the year. About the Collections: General collection of local interest including: furniture, tools, radios and other communication equipment, household items, costumes and textiles, toys. Services & Activities: A variety of school and public programmes are offered throughout the year alongside several special events. The museum also offers library and archives for researchers and educational professionals. 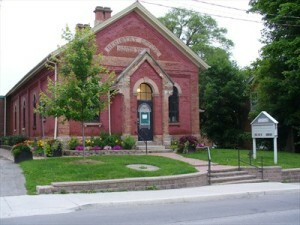 To contact the museum call 905 953 5314, visit the website or email at elmanmuseum@rogers.com. For further information on the collections and services provided, please click here.